What a wonderful alternative to cooking a whole turkey. This turkey breast is nicely enhanced with orange. Pair it with Cornbread Stuffing and Green Bean Casserole for a Thanksgiving style dinner anytime. Blend all ingredients except turkey breast until smooth. Place turkey in baking dish (or resealable plastic bag). 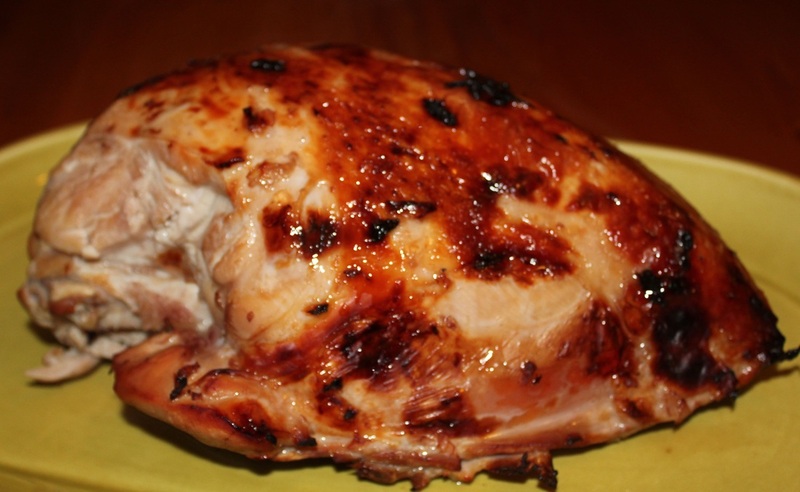 Place turkey in an oven proof pan, heat oven to 350 degrees. While oven is heating, pour marinade in a small saucepan and bring to a boil for 1-2 minutes. Bake turkey breast uncovered in marinade 40-60 minutes, or until meat thermometer inserted in thickest part reaches 170 degrees.